In this VETgirl online veterinary CE lecture, Dr. Susan Little, feline guru, discusses the big 3 infectious diseases: FIP, FeLV and FIV. This complimentary, 2-hour webinar will discuss best diagnostic approaches, information on a newly available treatment and a look at treatment strategies currently in development for these three infectious diseases. FIP is a baffling and clinical important disease of cats caused by infection with a virulent biotype of feline coronavirus. Diagnosis can be frustrating, especially for the dry form of the disease. Likewise, FeLV and FIV are two of the most common & important infectious diseases of cats. In this lecture, Dr. Little will discuss how to talk to clients about these diseases and address their concerns about other cats in the home. This lecture will also review the published guidelines for retrovirus testing and management, new information on FeLV and FIV prevalence & disease associations, as well as disease control & prevention. Thanks to sponsorship from Merck Animal Health, this webinar is free to all! Thanks to sponsorship from Merck Animal Health, free to all! We’re so sorry – but this is due to the new horrible iOs update on your iPhone. 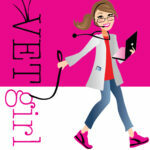 it still works on your laptop, desktop, etc., but is due to the update, not from the VETgirl tech side, we’re afraid. We’re hoping they will fix this soon! cAN WE HAVE SOME NEWS ABOUT PROTEASE INHIBITORS PLEASE?? But you want to watch this webinar?